American Wolf: The Oscars: A Month Late & A Lincoln Short. The Oscars: A Month Late & A Lincoln Short. Enter the Academy of Motion Picture Arts & Sciences & their Oscars, a so-called yardstick to represent greatness. But of course, an Academy is only as good as its members, & if there's anyplace in the world torn between high art & low living, it's Los Angeles. Such was the case for this last round of Oscars. 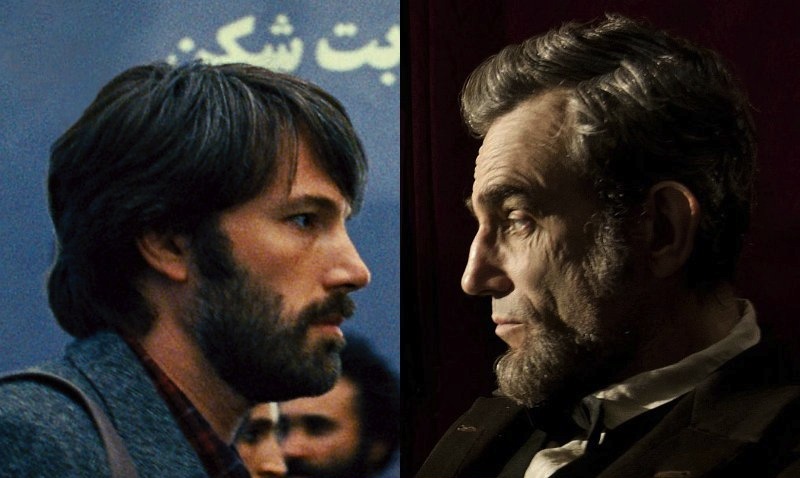 As I wrote in my 2012 year-end wrap-up, the Greatest Movie of the Year was Argo, but the Greatest Film of the Year was Lincoln. But then, just like the Bystander Effect that killed Kitty Genovese (or the that Simpsons episode where Bart loses class president because everyone in the class assumed that everyone would vote for him), Ben Affleck was not nominated for Best Director for Argo. For the next month straight, it was his ticket to winning Best Director at every other awards show, which then would give Argo Best Picture as a sort of icing on the cake. Now, clearly the Academy screwed up here. Ben Affleck should've been nominated for Best Director, & had he been, the smart money would've been on him & he would've deserved it to. But Argo as Best Picture?! Nope, sorry. Shoulda never happened. Making a great Movie is almost as difficult as making a great Film, but at the end of the day, it's almost always the Film that should win out. The clearest recent case of this is in 1998 when Shakespeare in Love beat out Saving Private Ryan for Best Picture. Ten years on, when AFI did its 100 Years...100 Movies: 10th Anniversary list, Saving Private Ryan debuted at #71 while Shakespeare in Love was nowhere to be found. Now don't get me wrong. There are definitely rare times when a Movie should beat out a Film. It would've been awesome if Raiders of the Lost Ark had beaten Chariots of Fire & an argument can definitely be made for Star Wars beating out Annie Hall (& I LOVE, LOVE, LOVE Annie Hall, but an argument can be made nonetheless). I dated a girl whose mom refused to watch Gandhi simply because it had beaten out E.T. We all have our limits. Muddying the water are Films that seem like Movies & Movies that seem like Films. This is the case when Brokeback Mountain—a Film's Film if there ever was one (at least in our postmodern vernacular), it was somehow beaten by Crash, a stupid Movie masquerading as a serious Film. I'll also always hold that Titanic is a Movie with all of the trappings of a Film, although in this case, it was the rare Movie worthy of winning Best Picture, although I'll always find it more ridiculous than gut-wrenching. Sometimes a Film beats a Film, true—think Citizen Kane's infamous loss to How Green Was My Valley—but often the most exciting (& controversial) races pit a Film against a Movie. Which brings us back to this past year. 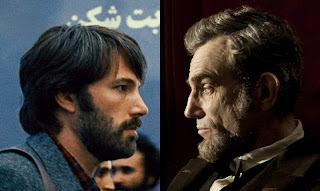 Now, had Affleck been nominated for Best Director, he would've won & then Lincoln would've gotten Best Picture. But instead, Affleck was able to ride his snub all the way to the final award, leaving the vastly superior Lincoln without a crown. Because if I was a betting man, I'd bet that when the AFI's 100 Years...100 Movies: 20th Anniversary list comes out in 2017, Argo will be nowhere in sight. & Lincoln will be somewhere around #71.